Tonight’s guest blog post, on the topic of critique is brought to you by C.S. Lakin. A Help or a Hindrance— Does It Really Pay to Get Your Manuscript Critiqued? Critique. Just the word alone makes authors cringe. Why? Because it reminds us of another word that has a negative connotation: criticism. Yet, as authors we understand the need to have another pair of eyes look closely at our manuscript and give us constructive advice and direction so we can make our book the absolute best it can be. But an unprofessional, misguided, or inconsiderately toned critique can cause great heartache and discouragement, so should we really risk our already fragile writer’s ego and let someone tear our precious work apart? Will a good critique be worth not just the money but the emotional cost? Some copyeditors claim you should never get a critique because it is entirely subjective. They say all you need is to get your book edited by a copyeditor and fix all the grammatical mistakes. And it’s true that getting a thorough copyedit is essential. But few writers think about getting their book critiqued first. However, in my twenty-five years of experience with writing novels, becoming a multi-published author, and working professionally as a copyeditor and writing coach in the publishing industry, I have come to conclude that most authors—whether a new writer or seasoned published author—need a critique and preferably in the early draft of their manuscript. Sure, critiques are subjective. But when your novel or nonfiction manuscript lands on a literary agent’s desk, or is placed in an acquisition editor’s hands, it will be read subjectively as well. But here’s the thing authors need to understand: a professional in the publishing industry will temper a subjective read with years of experience; an understanding of current market needs and trends; establish or accepted writing styles, structure, and formatting; and a honed sense for an original and compelling writer’s voice. There is no such thing as an objective critique, but that should not be an issue. Getting an insider’s take on just how well your book holds up is invaluable and can save you months or even years of submitting a flawed manuscript and getting back dozens of rejections without knowing why—leaving you more discouraged than ever. When you look for someone to critique your “baby”, I would encourage you to look for someone who is not only interested in helping you make your book shine but wants to help you make it all you envision. A supportive critiquer will encourage you, instruct you, and help you along this rocky road. A good critique should not come across as a nice pat on the back with a few muttered words like “Good job. Keep it up.” It should thoroughly address all the major elements in your novel or nonfiction manuscript, and preferably using an annotated style (with comments along the margins of each page) rather than just an overall summary at the end of your manuscript or in a separate document. However, we as writers grow attached to our words, and an insensitive editor can cause a lot of pain. More than one author friend or client has cried to me in anger, frustration, and a readiness to give it all up after being handed an insensitive critique. Often these critiques are full of negative remarks with little constructive advice, examples of how to reword a sentence better, or explanations as to why a passage does not work well. It takes courage to hand your project over to someone—this book you’ve spent months or perhaps years writing, sweating over, all the while second-guessing yourself and the merits of your book, only to have someone heartlessly rip it to shreds. For that’s our greatest fear—that despite all our hard efforts, we may have produced something that should go in the round file. I find the greatest satisfaction in helping my clients with their manuscripts. I have seen some of the worst manuscripts—poorly constructed, wordy, almost unreadable—turned into beautiful, well-crafted books that their authors are proud of. I have gone on to see many of my clients get agents, land contracts, and get published because they were willing to work hard to take their rough work and perfect it to the best of their ability. These authors show they are dedicated and willing to learn and listen. But I wonder how many (or few) of them would have dug in to their necessary revisions had they been treated insensitively by a critique. Of course, there is no guarantee that if you follow all the suggestions in your critique that you will get an agent or land a book contract. So many variables affect those outcomes. But applying yourself to make the changes suggested in a good critique will stretch you and teach you how to be a better writer, and as you apply the things you learn, your chances of reaching your dreams will improve immensely. Your critique will give you the help you need to get your manuscript or proposal in shape. Your book is competing with hundreds of thousands of others to grab the attention of an agent or publishing house, so you want to do everything you can to make sure your proposal, query letter, synopsis, and book stand out from the rest. So, if you’ve decided maybe you do need to take this first step, do some research and ask possible editors you are considering hiring for testimonials from clients. Start a dialogue with the editor to see how friendly, accommodating, understanding, and compassionate he or she comes across. And take a look at their concrete experience and influence in the publishing industry. However, don’t expect them to drop everything and answer dozens of e-mails packed with lengthy questions. Don’t expect them to be available to talk on the phone either. Often clients, in their need to be assured an editor will be right for them, expect the editor to push aside whatever she is doing at any given moment to attend to their needs and questions. A potential client wants to feel safe and needs to build a measure of trust with the professional she is dealing with, and that’s understandable. But we editors are busy—not just editing but with our personal lives as well, just as are doctors, dentists, and nurses. So once you find an editor that seems a good match, send her your manuscript and let her do her job. Answer any questions he may have to better help her understand your objectives in your story. If you can provide her with a synopsis or story summary (for a novel) or a book proposal (nonfiction), that’s a great help. Then, when your critique is done, take all the suggestions to heart and make the changes you feel will best suit your writing style and story. Not every comment included in your critique will work for you. But you’re the author and it’s your book, so weigh each suggestion and trust your intuition. As long as you keep your mind and heart open to ways to improve, your critique will feel less like criticism and more like a gift. Often, writers will join critique groups or get a critique partner, and having some great author friends who are good at giving constructive suggestions can be a real blessing. They get familiar with your style and know your voice. And because they know you as well, they can often spot areas in your writing that just don’t sound right, or where you could do better. But have you thought about your role as a critiquer and what kind of advice you want to give? The adage “Do unto others as you would have them do unto you” really applies here. Do you really want someone to read your chapters and just say “good job” without being honest about the problem areas they see? On the other hand, even though you want them to point out your weaknesses, you certainly don’t want them to be tactless. You would like them first to say something encouraging, point out the good aspects of your writing, then be polite and share kindly what they think might need fixing. We all have egos, and we can often be very sensitive to criticism, even when it comes from a friend. In fact, even more so when it comes from a friend. However, we need to separate friendship from critique. Don’t kill the messenger if they give you a distasteful message. And so with these thoughts in mind, be the same kind of critiquer that you want others to be. The first thing I learned from my editing mentor is this: Always start with praise. Find things to compliment, and be honest about those things—don’t just randomly throw out a few nice words and then dig in with what’s wrong. Seriously look at the commendable aspects of those chapters and say some encouraging things about how well those elements worked. And then when you get ready to offer helpful suggestions, be sure your tone is uplifting and not harsh. Finding a wonderful editor and critiquer to help you along in your writing journey is a real blessing. Maybe it’s time to take the plunge and get the help you truly need. And hopefully, by choosing just the right editor and taking just the right attitude toward the suggestions given, your critique will be a help, not a hindrance, to you. C. S. Lakin is the author of twelve novels, including the fantasy series, “The Gates of Heaven”, with the first three books now out in stores and online in multiple formats. She also writes contemporary psychological mysteries, with her Zondervan contest winner, Someone to Blame, having been released last October. 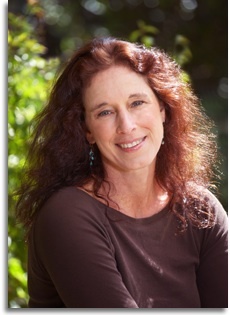 She works as a professional copyeditor and writing coach and loves to teach on the craft of writing. Her new websites are dedicated to critiquing fiction (www.CritiqueMyManuscript.com) and building community to help survive and thrive in your writing life (www.LiveWriteThrive.com). Come join in by following @livewritethrive on Twitter. You can read more about her at www.cslakin.com. The blog interviews return as normal tomorrow morning with literary fiction author Myra Sherman – the three hundred and eighty-seventh of my blog interviews with novelists, poets, short story authors, bloggers, autobiographers and more. A list of interviewees (blogged and scheduled) can be found here. If you like what you read, please do go and investigate further. And I enjoy hearing from readers of my blog; do either leave a comment on the relevant interview (the interviewees love to hear from you too!) and / or email me. Great insights and advice. I am very lucky to be in small writers group where we critique each others’ work every other week. One is traditionally published and all three have taught English and/or creative writing. Good critique, taken with an open mind, can be invaluable in making your work the best it can be. I know my book will be better because of their insights and suggestions. With my first book I did not have such a group, but I did get two editorial reviews, which I think would be synonymous with a professional critique. As a result I cut 30% out of my book and rearranged chapters. I ended with a book I am proud of and that my readers love. Bottom line is, a well thought out, constructive outside view will usually make out work better. Just make sure that those reading your work are qualified to do so and will not be so negative they cut you off at the knees. I have that experience, too, and have no wish to repeat it. I agree. I got a professional critique in the early stages of my MG historical fiction. It was researched and plotted and I was starting Chapter 4, but I had a sense that I needed to shift my focus a bit before forging ahead. The critique helped me focus on character, and opened up new options for my protagonist. It was hard to make the suggested adjustments, and I took a break for a while to get my mind around the shift. I think one of the benefits of paying for a critique is that you’re hiring someone you respect, so you can’t dismiss their suggestions. I trusted my editor, and now I’m working on the book again with renewed purpose. But you don’t necessarily have to pay for a critique for it to be effective…a one-sentence response from a friend reading the first chapter helped sharpen my focus as well. I do a lot of teaching and critiquing, and I think the key is to be humble, helpful and honest. (I write about my early experiences here: http://katrinschumann.com/blog/humble-helpful-and-honest.) I often turn clients down because I feel it’s too early in their creative process and I want them to have staked their claim firmly into the literary territory they are exploring, before I come in with my highly subjective ideas. Also, I ALWAYS look at their work (for free) before agreeing to critique so they get a good sense of my style and approach. It can cut you off at the knees to have an editor who shows no respect for your efforts. I would never want to be that editor. Like you, I’ve been a professional editor, mentor and author for a lot of years. Writers need to keep in mind that an editor’s job isn’t to discourage anybody, but to help them tell their story more effectively–to make it stronger, more moving, more marketable and more memorable. But as somebody who’s worked both sides of the desk, both as an author and as an editor, I know that critiques are not so much a question of a subjective evaluation; they ought to offer real perspective on a book’s strengths and weaknesses. And when a writer is willing to do the work to take their books from those early drafts to a fully realized book? Priceless! Thanks for all your comments and insights. There are many ways to approach getting work critiqued. I like to help authors in the budding stage when they are just starting to form their writing habits, so they can avoid developing problems that will be hard to change later. A critique early on is the best way to help them, rather than having them work months or years on a book with a lot of wasted effort. A good critique can undoubtedly be very helpful, but there are catches, usually involving the word “good”. As a third party observer to one critique I could not help but think the changes recommended were simply the critic making his/her mark. The changes were reasonable, but were they really an improvement? Remember, every change made by a second party attenuates your style, so the author must ask him(her)self, how important is my style, and more importantly, how different is my style from most others. There is nothing worse in a novel than lurching styles (unless they are deliberate for different POVs). Another point the author must consider is, what am I trying to achieve? It might be that you are prepared to sacrifice some readers in order to make a point. For example, if someone from the upper class critiqued a Dickens work, Dickens would have been advised to “tone it down, shorten it, make it more marketable (to his class)”. That would have turned great literature into slush. Rowling should have stuck with more editing. Last book I enjoyed was #5. Hi Morgen. What is good writing? If it were to be defined as attracting lots of readers, I guess Dan Brown is “good”, but I know what you mean. On the other hand, maybe it is more than just “beautiful phrases”. (Topic for someone for another blog?) In Brown’s case I think he manages tension very well, including these funny little puzzles, which keeps the reader involved right through to the end. Ian, good points. And that’s the mark of a good critiquer–that they only make suggestions and don’t actually changed the writing. A good critiquer will honor an author’s voice and style, but of course every critique will be subjective–and every agent and publisher that looks over your work will be looking with a subjective eye. being subjective is unavoidable. But we want to know the person doing our critique is savvy and experienced enough in the publishing world and with writing to be able to give advice that will line up with how these agents and publishers will respond to the work. And it’s important for the editor/critiquer to understand what genre and audience this work is aimed at. Sometimes the writer doesn’t even know. I try to pass on what gems I have learned over 25 years writing and trying to get published. I have spoken with so many dozens of agents and publishers, and had hundreds of rejection letters and six agents represent my twelve novels, so I have a good feel for what is strong writing and what is weak. I can only bring to my work and share with my clients what I have learned, and feel it has some merit. What a client then does with the advice is up to them, but I always tell my client’s these are only suggestions and ultimately they need to go with their gut feeling to sense whether a suggestion is “spot on” or not. I believe we can almost always tell if we “feel” within ourselves if something is right or not. Susanne, I agree. My point was mainly about the word “good”. Unfortunately only too many are not good, and the difficulty is to find someone who is good and is in your genre. For anybody else’s benefit, rejection letters are not something to worry about. I saw something once by Nathan Bransford, and if I recall correctly, one year he got 20,000 queries. All he could do was take on two. If you do not get rejected, you are not in the game! No problem, Ian. I’m already booking into August. All of the above is good, but the real problem is finding the right person to critique one’s manuscripts. Is there a central repository where writers can find a list of editors organized by subject area, showing credentials, rates and references? If so, please tell us. By shear luck I found a critique parter who I can work with, but discussing the finer points of critiquing must seem a bit silly to writers who recognize the need, but don’t know where to begin. Excellent post and a good discussion, Morgen, you must be happy: this is what makes for a good blog that people want to read! I’d just like to add my little bit: all this is terribly important and would be ever so useful if one could find the “right” editor. Speaking for myself, I’d love nothing better than a good, constructive critique! But how do you go about identifying that sister soul? Very, very hard, and like in marriage, maybe it’s a matter of…luck! Because when you’re an aspiring writer – and even if you’re published (but you haven’t hit the NYT best seller list) – you’re very fragile. You’d like to believe in yourself but you don’t – not really. Criticism, however well-meaning, can kill you. But there’s more: you’re not quite certain what is constructive criticism and what is not. Should you accept it all or is there something you should reject? On what basis? What criteria? This is the real challenge in my view…We’re all ready to do extensive re-writing on the basis of a balanced, well thought-out critique. But how do you recognize that it is balanced and well thought-out? And if you tell me that it is also a matter of taste…Well, how do you sort yourself out? Two thoughts, Claude. First, just because you are in a genre does not make it easier, especially if your work fits rather awkwardly into the genre, or if you have a non-fashionable point of view/message. The critiquer will invariably try to “bring you back into the mainstream”, but maybe you don’t want to be there. The second one is more important. I emphasized the need for a “good” critiquer above, and I do so again. One of my other roles in life has been in business development; a new business always needs help, and I have a cautionary piece of advice: “Scum floats”. What that means is the bad floats to the surface and is always the easiest to find. The reason, of course, is that the good are in demand, they are busy, so they are difficult to get hold of. The first job is not to hire someone, but to try and find someone who has had success and see if you can access the good through a recommendation. Hope this helps.